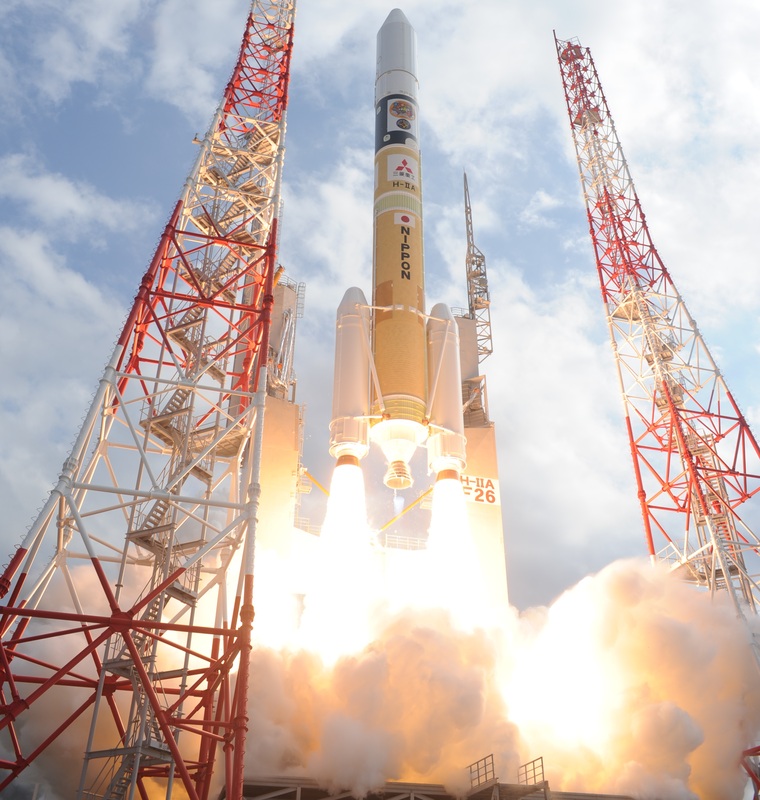 The United Arab Emirates Space Agency picked Japan’s H-IIA launch vehicle to launch the Mars ‘Hope’ mission in 2020, the agency confirmed on Tuesday. 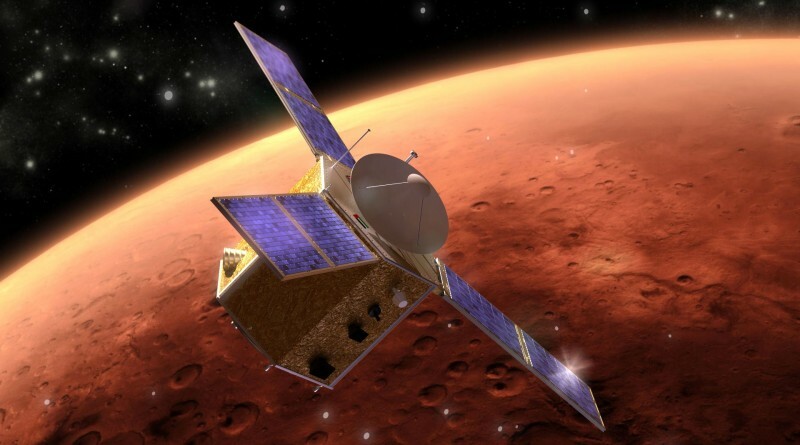 Hope, al-Amal in Arabic, is the first Arab mission to Mars and will orbit the planet in an exceptionally high orbit to deliver scientific data on the tenuous atmosphere and climate on our neighbor planet in the solar system. If successful, the United Arab Emirates could become the second nation to reach Mars in its first attempt, following in the footsteps of the Indian Mars Orbiter Mission that arrived at its distant destination in September 2014. Plans for the Mars Hope mission were first announced in July 2014, proposing a Mars arrival in 2021 to coincide with the 50th anniversary of the establishment of the United Arab Emirates – requiring the spacecraft to launch during a brief interplanetary launch window in July 2020. The name ‘Hope’ was chosen in 2015 and the mission team is to include 200 Emirati engineers and scientists, collaborating with international institutions. 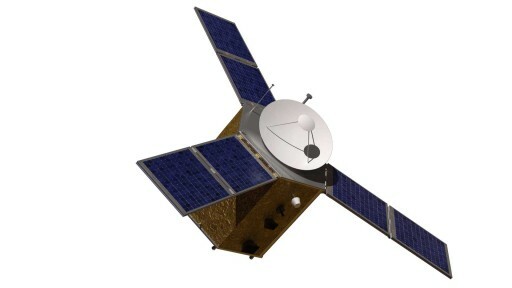 The Hope spacecraft will be a compact orbiter standing 2.9 meters tall and using a hexagonal spacecraft bus 2.4 meters in diameter with a launch mass of 1,500 Kilograms. Three rigid solar panels will extend from three of the six side panels while the other side panels host navigation sensors and Hope’s instrument payload. Sitting atop the spacecraft will be a 1.5-meter high-gain antenna to allow the spacecraft to stay in touch with Earth while the bottom panel of the orbiter hosts the thrusters for maneuvering on the way to Mars and once in orbit. Hope sets out to conduct the first holistic study of the Martian atmosphere, collecting data of the entire visible disk of the Martian atmosphere from the spacecraft’s high orbit taking it from altitudes of 22,000 to 44,000 Kilometers. Hope sports a camera payload, called the Emirates Exploration Imager, EXI in short, and two spectrometer instruments, the Emirates Mars Ultraviolet Spectrometer (EMUS) and Emirates Mars Infrared Spectrometer (EMIRS). The EXI camera will deliver high-resolution images of Mars and its atmosphere to study water ice, aerosols and ozone in the thin atmosphere. The EMUS spectrometer will deliver spectral data for an examination of characteristics and variability of the Martian thermosphere as well as the abundance of hydrogen and oxygen in the upper reaches of the atmosphere as a tracer for atmospheric loss. EMIRS will monitor temperatures on a global scale and deliver data on water ices, vapor and dust in the atmosphere. Joining an international fleet of orbiters at Mars from NASA, ESA, Russia and India, Hope will deliver a unique look at the planet’s atmosphere which has become a focus of scientific study with recent launches of NASA’s MAVEN spacecraft, already in orbit, and the Trace Gas Orbiter, currently on its way to the planet. Hope will create the first continuous record of global atmospheric parameters over a mission duration spanning one Martian Year, monitoring changes on short time scales as well as seasonal variations in atmospheric structure and the interactions between the lower and upper layers of the atmosphere. Operating from an orbit resembling that of a Geostationary Weather Satellite watching Earth, Hope will be able to probe the connections of events taking place in the lower Martian atmosphere with phenomena in the upper atmosphere days or weeks later. Using a unique vantage point, Hope can deliver complementing data to missions operating from lower orbits where they collect data on the lower layers of the atmosphere, gathering high-resolution snapshots while Hope will keep track of the global picture. After the announcement of UAE’s Mars plans, official visits were made to several potential partners for the mission including India and Japan before the mission signed a contract to launch on the H-IIA rocket, the smaller of Japan’s flagship H-II launchers. This will be the first mission to Mars for the H-IIA launch vehicle, though the rocket is no stranger to flights beyond Earth Orbit, having launched the SELENE Moon Mission in 2007, the Akatsuki Venus Orbiter in 2010 and the Hayabusa 2 asteroid sample return mission in 2014. Hope is the fourth overseas contract for launch provider Mitsubishi Heavy Industries after launching South Korea’s KOMPSAT-3 and the Canadian Telstar-12V communications satellite, and securing the contract for the launch of KhalifaSat, also from the United Arab Emirates, as a secondary payload in 2018. The Mars Hope Mission will share the 2020 Mars Window with a number of missions – NASA’s Mars 2020 Rover aims for liftoff between July and September, China hopes send an orbiter and rover to Mars during the 2020 window and ESA/Russia are looking at 2020 as a backup option for the second ExoMars flight featuring a rover and lander.